From Handal, et al. (2013), a diagram which includes technological knowledge, also a consideration for math teachers, or any teacher using 21st century learning. Pedagogical content knowledge is a type of knowledge that is unique to teachers, and is based on the manner in which teachers relate their pedagogical knowledge (what they know about teaching) to their subject matter knowledge (what they know about what they teach) (Cochran, Kathryn, 1997). This concern seems especially pertinent for math teachers. I attempt to show how subject matter knowledge and pedagogical knowledge are both essential in getting students to the point where they can be assessed on a circles problem in grade 10 academic math. Teachers are reminded at the outset that while knowing the subject is one essential ingredient, so is knowing your students and your age group. Students must be known individually, to become familiar with how they see the concepts, in their own words. This means that in a normal class setting, students must be able to be able to express themselves without fear of judgement. The teacher also needs to be familiar student IEPs, the supports in their school (student success teacher, guidance counsellors, social workers, and so on). The teacher is urged to also try some geometry problems on their own. More than informing one’s content knowledge, the teacher is also learning to anticipate problems that may arise that affect lesson planning. According to Aslan-Tutak and Adams (2015), a lack of content knowledge robs teachers of being able to properly assess students real needs and strengths in the classroom. This article takes a look at geometry in grade 10 and is written to raise awareness of the possible connectedness of aspects of geometry to other parts of the math program, and to also discuss implications for the learner. By the end of the course, students will solve problems using analytic geometry involving properties of lines and line segments. By the end of the course, students will develop the formula for the midpoint of a line segment, and use this formula to solve problems. By the end of the course, students will develop the formula for the equation of a circle with centre (0, 0) and radius r, by applying the distance formula for the length of a line segment, . By the end of the course, students will determine the radius of a circle with centre (0, 0), given its equation; write the equation of a circle with centre (0, 0), given the radius; and sketch the circle, given the equation in the form . Grade 10 appears to be the first and last time circles are covered as a relation. I would also tell students about a circle centred at the point , whose equation, is not that different from the distance formula shown above. Student maturation. The chidren in this grade would generally be between 15-16 years old, and in most cases, maturationally ready to tackle math questions of some degree of complexity, even though impusivity is still an issue for most students at that age (Price, 2005). According to Price (2005), while impulsivity can be seen as a problem for adolescents of this age group regardless of their proficiency in math, she would also say that it can be regarded as an asset, that adolescent passion should be taken advantage of, and directed toward productive ends. A task such as the three-point circle described below takes advatage of this passion, by subjecting a well-known property of circles to scrutiny. Beginning a rich task with a question starting with “Is it always true that three points always make a circle?” invites the student to try and make the idea fail. And of course, it does, sometimes. The student can then be asked, under what conditions does the idea fail, and can we re-state the conjecture that “three points make a circle” into something that is always true? Big idea: Any three points can be used to form a circle if they are not on the same line. A rich task or rich assessment built on this will take with it a substatntial amount of the analytic geometry strand, and can wind up being among the last topics covered in a unit. The idea of three points making a circle is an old geometry problem. A much simpler, but less interesting, circle problem would be to have 3 points all some distance r from the origin to make a circle, which still loses none of the grade 10 content. Whenever I teach grade 10, I aim for a circle with an arbitrary centre, since so much of grade 10 math is embedded in it. This can be either performed by the student using either geometry software, or using pencil and paper. It has been my experience that the latter option requires more time for the student, and more instructional time for the teacher, especially if the circle is not at the origin, which it likely won’t be given the prior requirement of “any three points”. This almost always requires the equation , since the centre will be at some arbitrary point rather than the point . It has been my experience that some learners take very well to this problem, while others are in need of assistance. If time is too tight, and students generally did well in the Quadratics strand, you might consider letting your students use Geometer’s Sketchpad to help solve the problem. Below, is a video where I demonstrate and discuss the use of Sketchpad for this problem. Mostly, I will emphasize the benefits of a pencil-and-paper solution. And in the next video below, I demonstrate the use of an old fashioned geometry set and paper. The background music in this video is public domain, and there is no dialog, so feel free to turn off the volume (or turn it up). Since I was emphasizing technique in this video, I did not use graph paper. A look at chords, along with major and minor arcs (optional, but is helpful in establishing a terminology for the three point/circle problem). Don’t spend a lot of time on this — it is not in the Ministry, but it is in some Ministry-approved grade 10 texts for the current curriculum. Students would need to play with trying to get three arbitrary points to make a circle for about 1 period to agree on what steps they would need to confirm the point/circle problem. They would either use software such as Sketchpad or a geometry set, but the decision must be made for the whole class. Students consolidate on what the steps ought to be to solve this problem. If software is used, I would add to the problem: find the full equation for the circle, its radius, and the centre point. If pencil and paper is used, after students have struggled, and an algorithm is decided upon, you might consider demonstrating a complete solution either on the board or using a document camera. Once the class agrees to an algorithm, 1-2 periods would be spent on a rich task (possibly a summative). If pencil and paper is used, the question is still do-able by grade 10 students, but I find not everyone can identify the centre with algebra, and usually end up estimating the position of the centre from the graph drawn. Thus, the there would also be a loss of accuracy in computing radius. (I would give a level 4 for the algebra; level 3 for estimating). For the latter topic, that is, the algebraic solution to finding the centre from three points on a circle, I would suggest a PDF I wrote for my students, which demonstrated a sample calculation as they were working on their problem, given to them, or demonstrated the some days before the assessment, especially if anyone is having problems. Not all steps are shown in this handout, and the student is advised to perform the steps themselves. They would also be given a worksheet to practice on. It is from the PDF above mentioned that students began to point out the resemblance between the general circle equation and the distance formula, because both are used in the activity. Supporting the teaching and learning of mathematics. Students see that there is now a broader use for expanding and solving quadratics, that isn’t part of the strand on quadratic relations, but uses techniques that are not foreign to it. It is one opportunity to prepare students for the kind of math they may encounter in grade 11 Functions, grade 12 Advanced Functions, and Calculus and Vectors. This is the last treatment students get with circle relations before university. It is no longer covered in grades 11 and 12, but such relations (and much more) are covered in first-year university texts. Students see that there are parallels that can now be drawn between solving for a linear system and solving for a quadratic system — you still need two equations with the same two unknowns, for one thing. What has preceeded shows that the unit must be very carefully planned to do this activity. But once done, the reward is an activity that captures a substantial part of grade 10 academic math. In this page, I have covered most of the high points of this sort of lesson, and described in some detail much of the most difficult parts of it through videos and external documents. In this page, I have told teachers how to prepare themselves and their students with suitable content knowledge, as well as what pertinent expectations are covered in the analytic geometry strand, as well as informing teachers of the maturational readiness of students, and how impusivity, re-directed as passion, can be used as an asset to student learning. What I have not mentioned is that it is crucial that teachers must constantly assess their students in the “for” and “as” learning phases, through observations, conversations, as well as products. Most periods should not end without some kind of assessment of this nature. This is because, with this math, finding out where your students are in their learning is critical to understand next steps for planning. The consolidation phase could be a math congress where students share their findings, ask each other questions, and, with some guiding questions and information from the teacher, come to an agreement as to their general findings. For teachers to be successful in this strand, they would be best off with problem-based learning (PBL), using problems of varying degrees of open-endedness. This would be done for all or most lesson on the way to this one. PBL should be in the “Action” part of the 3-part lesson. Each lesson should not go without a consolidation phase (Ministry, 2010), where students share and explain their work, while answering questions. Aslan-Tutak, Fatma, and Thomasenia Adams. “A Study Of Geometry Content Knowledge Of Elementary Preservice Teachers.” International Electronic Journal Of Elementary Education, vol 7, no. 3, 2017, pp. 301-318. Cochran, Kathryn (1997). 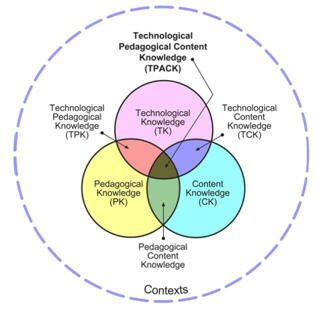 Pedagogical Content Knowledge: Teachers’ Integration of Subject Matter, Pedagogy, Students, and Learning Environments [online] Available at: https://www.narst.org/publications/research/pck.cfm [Accessed 24 Jul. 2017]. Handal, Boris et al. (2013). “Technological Pedagogical Content Knowledge Of Secondary Mathematics Teachers – CITE Journal.” Citejournal.Org, http://www.citejournal.org/volume-13/issue-1-13/mathematics/technological-pedagogical-content-knowledge-of-secondary-mathematics-teachers/. King, P. (2015). “Draw A Circle With Any Three Non-Collinear Points.” Youtube, 2015, https://youtu.be/ZdPQA6eSZD0. King, P. (2017). “Grade 10 Academic – Is It Always True That 3 Noncollinear Points Make A Circle?” Youtube, 2017, https://www.youtube.com/watch?v=ZRoAbbhuwoU. Ontario Ministry of Education, Office of the Secretariat. (2010). Communication in the Mathematics Classroom (Vol. 13, Capacity Building Series). Toronto, ON: Queen’s Printer. Ontario Ministry of Education (2005). The Ontario Curriculum Grades 9 and 10 Mathematics (Revised, 2005). Toronto: Queen’s Printer, Ontario. Price, L. F. (2005). The Biology of Risk-Taking. Educational Leadership, April(2005), 22-26. Retrieved July 22, 2017.